Want a fun CVS Coupon? 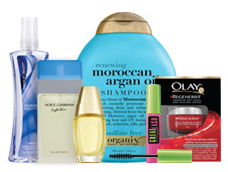 Make sure to print this new CVS Coupon for $2 off $10 or more beauty product purchase. This is a CVS store coupon, which means that you can use it with manufacturer coupons to get even better deals! The printable coupon is available today, 4/23 only, but after you print it you can use it thru tomorrow 4/24. There are a number of beauty deals this week to use this with, some of the best deals I see are on L’Oreal, or Maybelline Cosmetics.